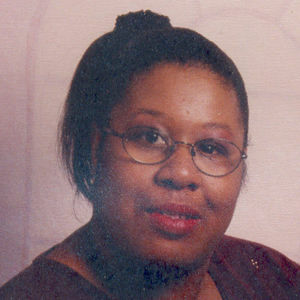 Cynthia R. Mapp, 36, of East Hartford, beloved daughter of Esther Mapp of Hartford, passed away Thursday April 6, 2006 at home. Born in Hartford, she was the daughter of the late John Mapp. Besides her mother, she leaves her daughter, Chelesea Jenkins of East Hartford; a sister, Carol Mapp of East Hartford; her maternal grandparents, Wilbur and Amelia Hardaway of Hartford; her paternal grandparents, Albert and Ella Mapp of MS; her beloved niece and nephew, Tyesha Miller and Wesley Wood Jr. both of East Hartford; and a host of uncles, aunts, and cousins. Calling hours will be held Thursday April 13 from 11-12 followed by a service at 12:00pm at the Carmon Windsor Funeral Home 807 Bloomfield Ave. Windsor. Burial will follow in Spring Grove Cemetery Hartford. Please visit www.carmonfuneralhome.com for our online guest book and directions.